Here’s a wonderful family that returned to me for updated family photos. 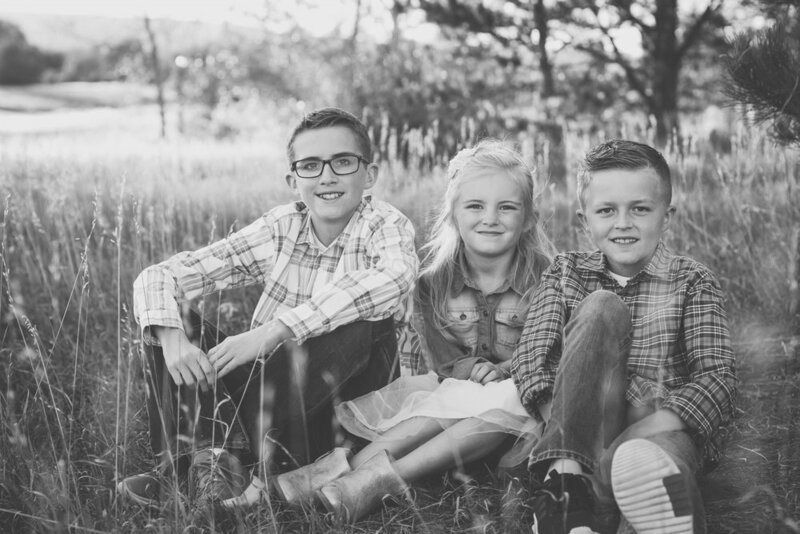 It is a pleasure to capture your family’s seasonal, special event, annual or biannual portraits, to preserve your memories as your family grows and changes. I love the drama that the golden backlight and ginger color from the fall foliage can add to a family session. For photographers, Autumn in October can be such a rich time to frame your subjects in the natural environment, with trees, leaves and rustic backdrop. In Colorado, the crisp early freeze changed the fall foliage from buttery bright to a bit dry & moody quickly over the past couple of weeks, but it still left us with a bit of whimsy, to embrace the season, for these just-before dusk casual portrait shots. 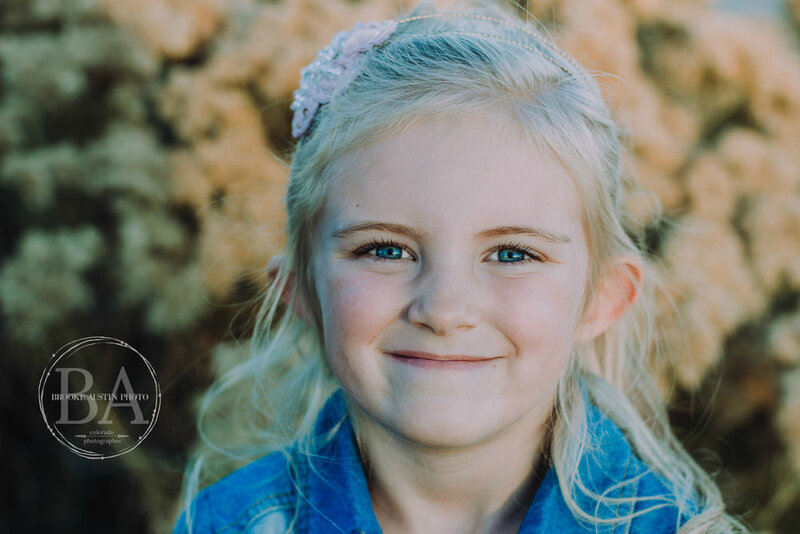 I’m crushing on the movement my littlest subject here, with her wavy blond curls, created while twirling to add something special for this year’s adventure with her family’s photo session with me. 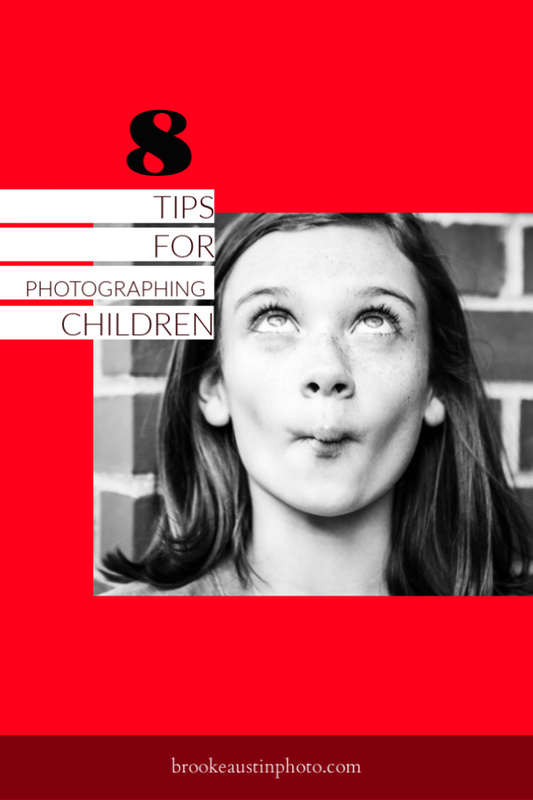 Want to start your own tradition of having family photos taken? Contact me and let’s create a session together. Adored taking photos of this sweet almost sixteen year old for a creative birthday shoot! She’s just as porcelain doll like in person as she looks in these images, with the precious personality to match. 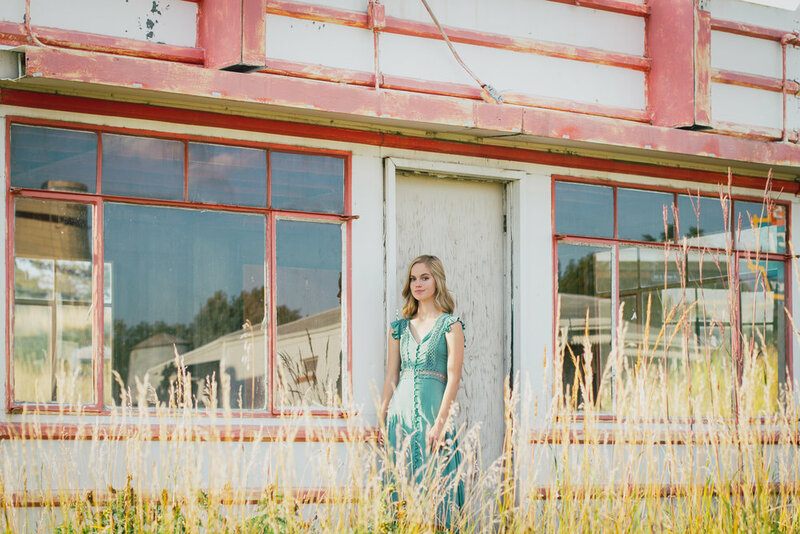 She wanted a sunset/golden hour style shoot in a field somewhere in the Denver area and I’m pleased that I was able to suggest this spot, Belmar Park & Lakewood Heritage Center, I’ve become keen on shooting clients at, located right near my home. It’s a large park area, but it also has some lovely vintage buildings, a barn, old farm equipment and other structures right next to it as well as some nice field and trees options, a lake and more! You just have to take some time, walk around, be creative and have some patience. Seems like I discover new spots to play with for backdrop every time I shoot here. It really is a great location to shoot a variety of styles that will encompass a rustic vibe to nature, moody to light & airy and even a casual urban backdrop can be embodied here with the right eye. And I appreciate that it’s just a short drive west of central Denver, which makes it a reasonable location for the metro area. I hope this darling high school girl will love her images as much as I do. Wishing you a happy 16th year full of blessings and adventure dear Gracie! This fella is the prettiest baby (err, ten year old) in the world, but I might be a little biased. I know I know, he's not a baby anymore (can't seem to stop him from becoming a tween), but he's my only baby. 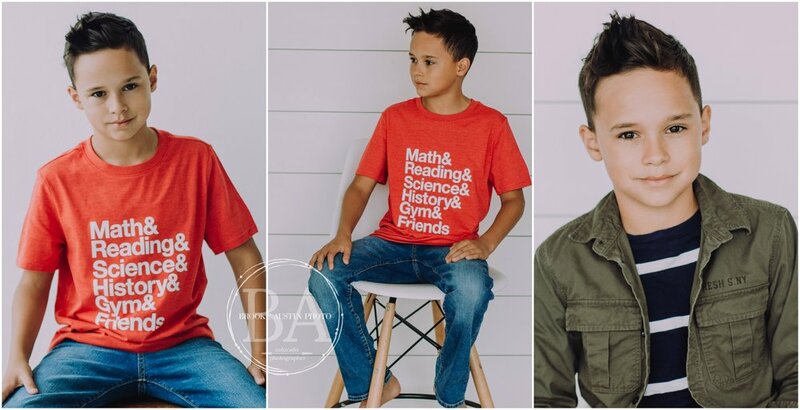 Always wanting to grow my talent and studio photography skills and this darling muse, who also happens to be my son, needs to keep working on his craft and hobby-job of modeling, so together we make an ever evolving creative team! He did a great job knocking out these photos in a short amount of studio space time and we managed to produce a nice representation of my vision for these updated head shots. I'm sure it's not easy having your mom boss you around and demand photo poses and cooperation for an hour while she snaps her camera like a mamarazzi. 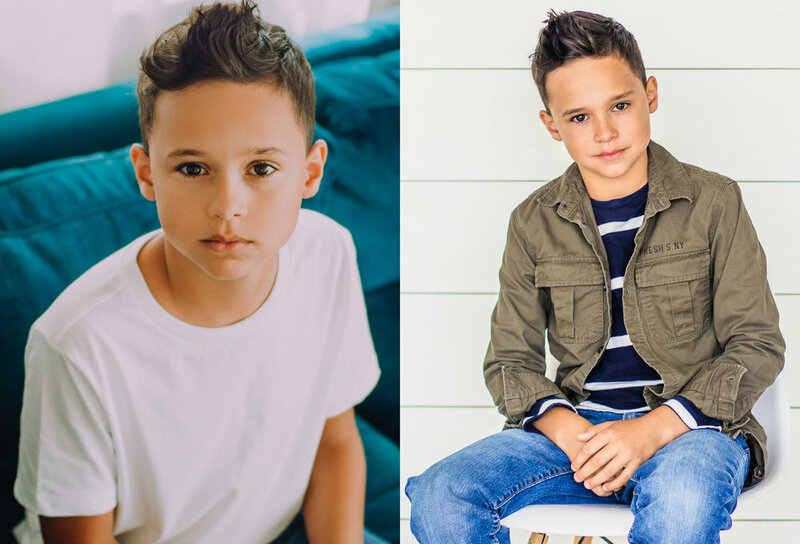 As he continues to grow, and as long as he's invested in the art of modeling, I am committed to snapping new shots of his pretty little face. Also, just an excuse to take photos of my kid for back to school, 5th grade, new year, new adventures! I'd love to capture your head shots in this crisp white backdrop, a studio space I rent in the Denver area. 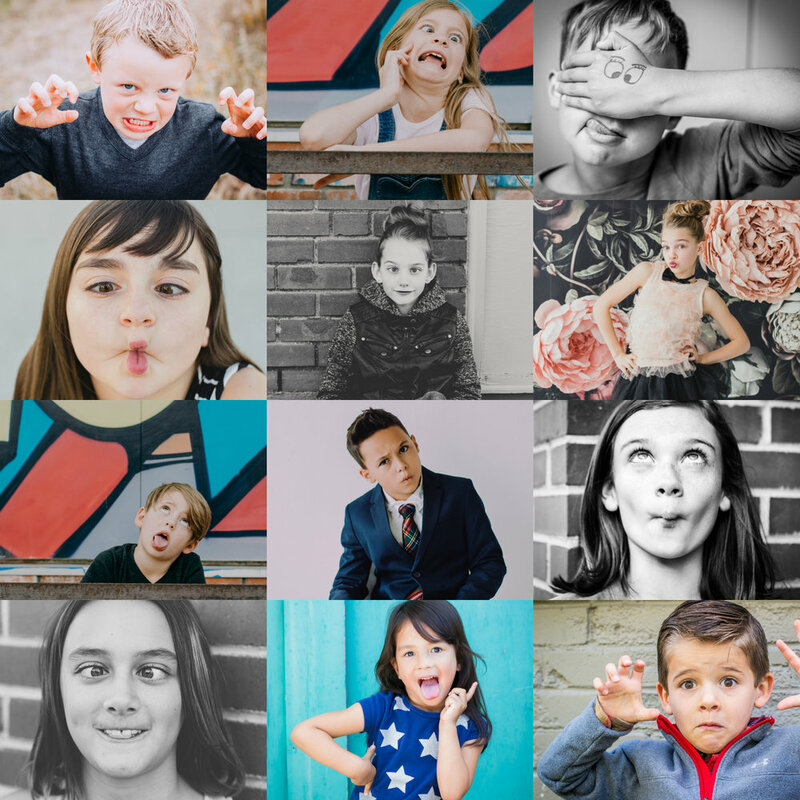 The Denver Photo Collective is a super chill spot where we can snag studio time privately for your photo session. The space is just a short drive west of downtown Denver, with some props available for our use or you're welcome to bring your own. Actors, models, comics, dancers, bloggers, creatives or just for fun! Let's create! Need a mockup or custom Comp Card? I can help with that too! I'm actively seeking high school seniors and would love to do more product photography too, and this would be a great spot to shoot in. How can I personalize a photo shoot for you?